These nice used cubicles are 67”H and were manufactured in 2007. These are a good neutral color. Price includes (1) Overhead, (1) Open Shelf, (1) BBF and (1) FF. These are all 4’ panels and would include a wing panel. Chat online today with questions. 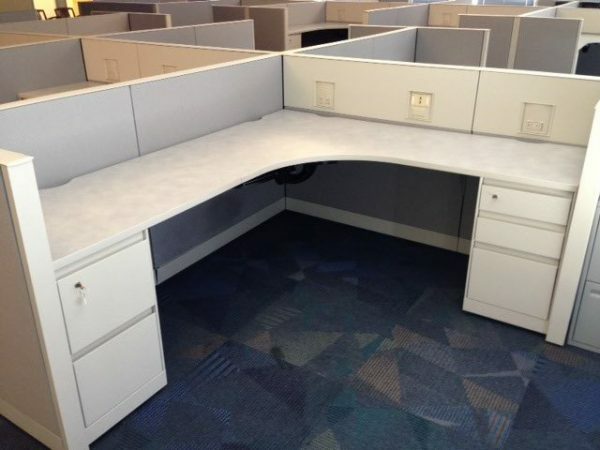 Steelcase Answer is considered a high end cubicles system, these cubicles when bought new would have been over $3,000 each. These cubicles come with above surface power and are an 8X8 configuration.